From left are Distinguished Professor Steve Granick, Director of the IBS Center for Soft and Living Matter and Professor Oh-Hoon Kwon in the School of Natural Science at UNIST. 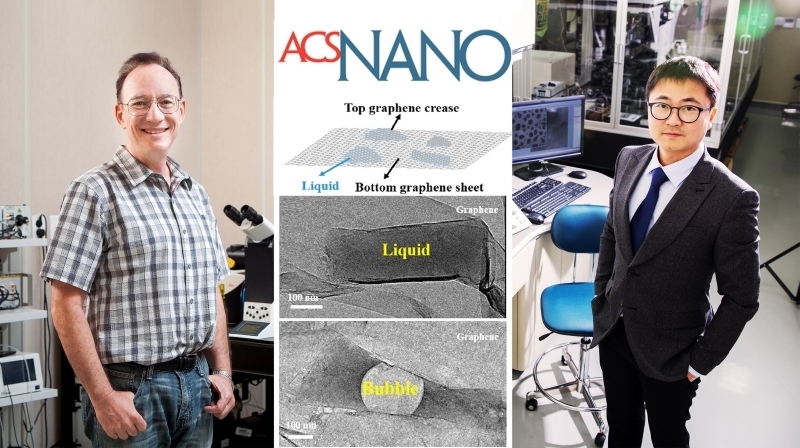 The work by Distinguished Professor Steve Granick and Professor Oh-Hoon Kwon has been published in ACS Nano. Since life is mostly based on water, our molecules are moving, vibrating and somersaulting in a liquid environment. But electron microscopy—a technique to study a static version of this nano world—has been almost impossible to use to see moving molecules, because the incident electron beam damages the samples. An international team of researchers, affiliated with UNIST, has introduced a longer-lasting electron-based microscopy technique for real-time observation of moving molecules, using heavy water (D₂O)—a form of water that contains deuterium (D). 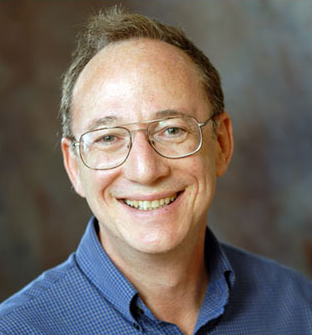 This breakthrough has been led by Distinguished Professor Steve Granick (School of Natural Science, UNIST) of IBS Center for Soft and Living Matter at UNIST in collaboration with Professor Oh-Hoon Kwon and Ye-Jin Kim in the Schoool of Natural Science at UNIST. 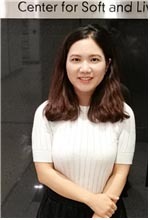 Their findings have been published in ACS Nano on July 18, 2018. 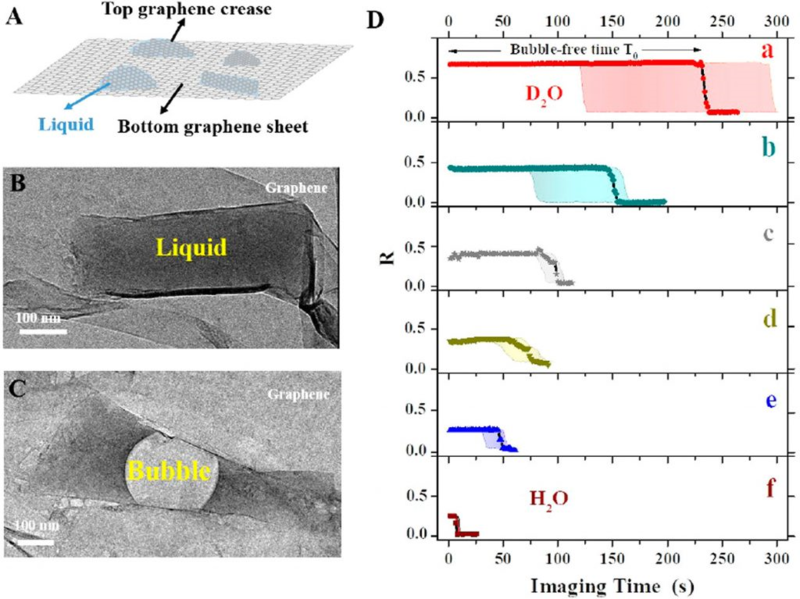 Figure above shows experimental scheme and representative data of graphene liquid pocket (A). Figure (B) and (C) show representative images with free of gas bubble and with a radiation-induced bubble, respectively. 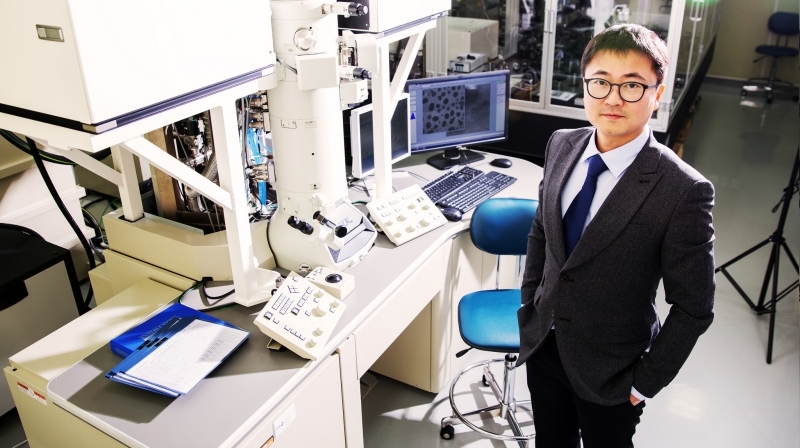 According to the research team, this study is the first time to use D₂O in the field of transmission electron microscopy (TEM), instead of hydrogen. This approach significantly delays sample damage, which is one of the major impediments for broader application of liquid-phase TEM to fragile biological samples. In the study, the research team used a tiny pocket filled with liquid sandwiched between atomically-thin sheets of graphene, within which the sample molecules are free to move and are protected from electrical charging, and tested several types of liquids to find the one that preserves the sample longer. “In contrast to the common approach of reducing the energy of the electron beam to delay sample damage, we focused on tuning the environment—the water in which the molecules of interest are dissolved,” says Huan Wang, co-author of the study. 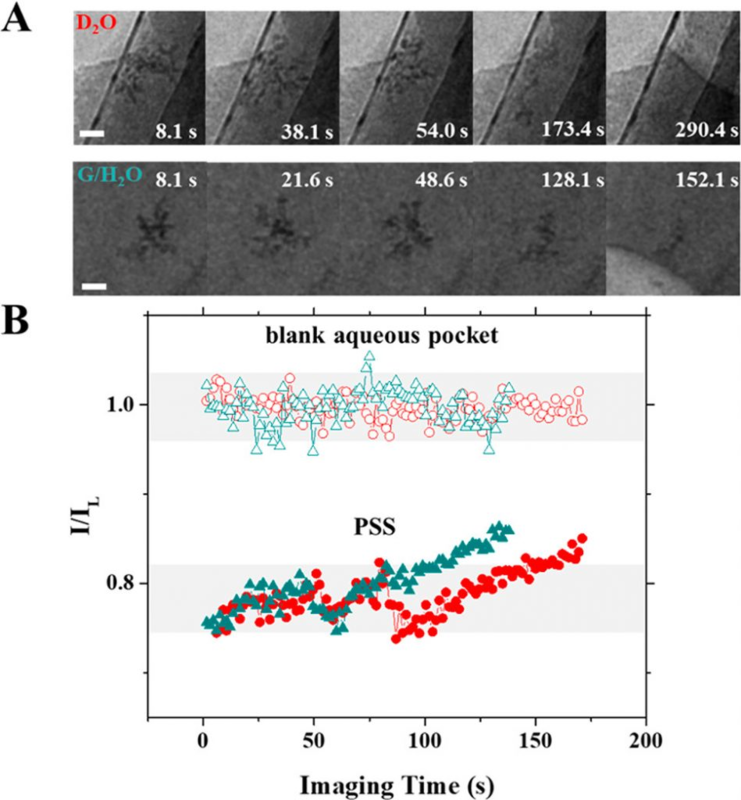 Figure above shows beam-induced degradation of dissolved polymer precedes radiolysis-induced bubble. The research team has also shown that use of heavy water has several advantages over competing methods. D₂O most effectively delays not only the formation of gas bubbles, but also structural damage of individual polymer molecules. Compared to H₂O, D₂O has one more neutron, which means that it is heavier, thus more difficult to dissociate into radicals, and less reactive in the subsequent damaging process. An equally important advantage is that D₂O is a harmless sunscreen. The sample, a polymer of polystyrene sulfonate in this case, showed the same pattern of dynamics and similar contrast in D₂O and in water. Materials provided by Institute of Basic Science.